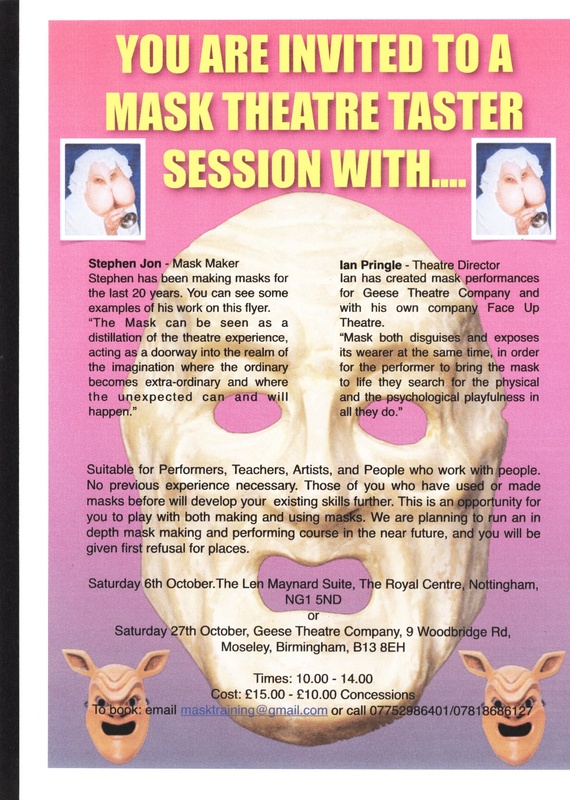 In collaboration with Ian Pringle (Face-Up Theatre), I am offering a series of Mask Taster Days. 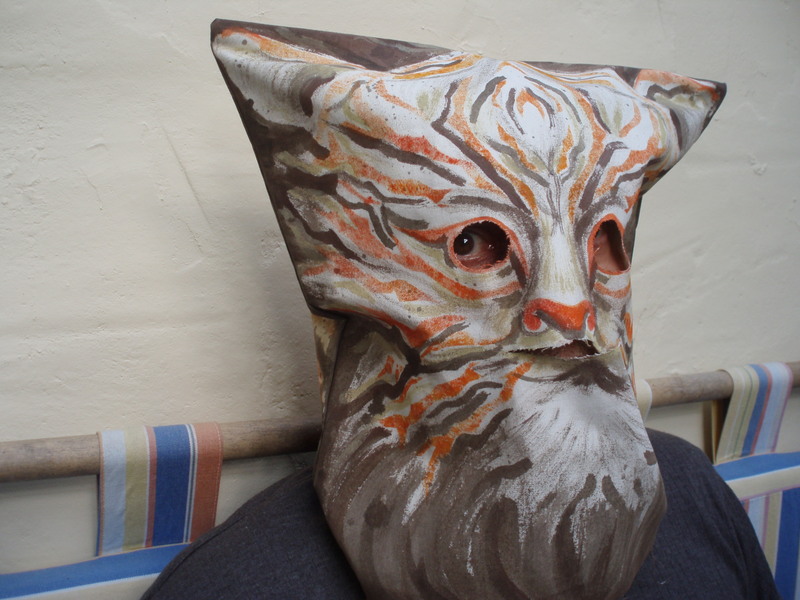 To play with masks, discover the magic of mask performances, make very simple masks and bring them to life. These Taster days will lead to a short course in Professional Mask Making at a venue to be confirmed, sometime early in the New Year. And another mask inspired by Haitian Carnival. Thank ‘s again to Leah Gordon and New Art Exchange. There will be another outing for ‘Long Tongue ‘s’ and ‘Zombir Clown’s’ this coming sunday, in The Market Square, Nottingham as part of the WEYA opening events. I have been re-reading ‘The War of Art’ by Steven Pressfield, to help me once more to overcome my Resistances (bad-back, shopping, cooking, planning) and get myself into my Studio. It is working. New work is emerging. Had an hour of sports massage this week, that certainly assisted in the unblocking.